The M12HJBL4 is designed to provide constant heat to those working in cold conditions with 5 inlaid carbon fibre heating zones across the front and back of the upper body and front pockets. The ToughShell™ stretch 100% polyester material can withstand rough working conditions and provide the jacket with a 5x longer life. This jacket also features an updated design with an extended back and adjustable waist which allow for excellent flexibility. One charge of an M12 REDLITHIUM-ION 2.0 Ah battery pack will allow the jacket to run for up to 8 hours at a time, while the battery controller features a USB port for charging mobile devices. 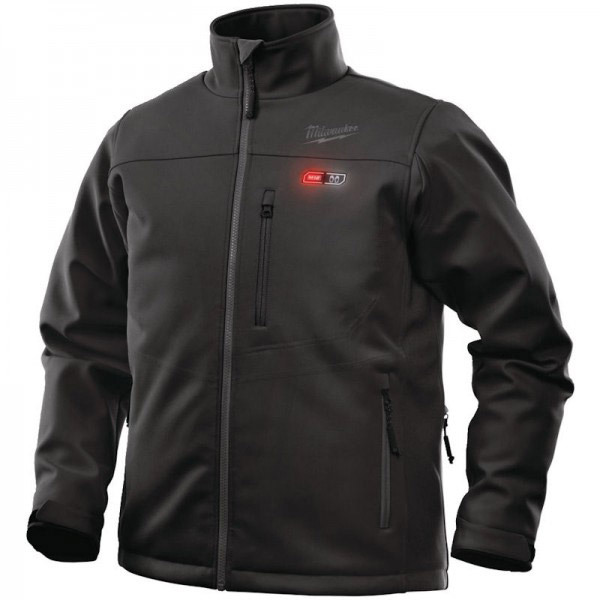 Furthermore the jackets large pockets are ideal for storing a mobile device and the battery powering the jacket can be switched with any other M12 battery at the users leisure.